Introducing BonBon Blooms™ - more enticing than fruit and more exciting than flowers, fine chocolates are gathered together to create a delicious bouquet, perfect for celebrating birthdays, anniversaries or any monumental occasion. 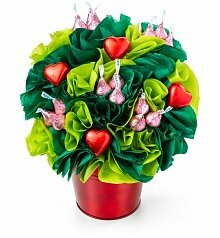 Artfully arranged with our hearts and hands, these chocolate bouquets are available only from GiftTree. 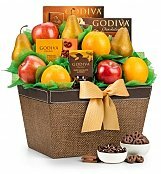 Everyone loves gifts of fine chocolates! Arranged with decadent Lindt truffles, luscious Ghirardelli squares and more, BonBon Blooms™ chocolate bouquets are every bit as pleasing on the eyes as they are on the palate. 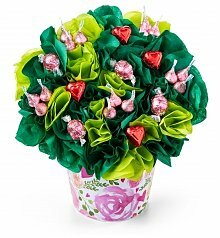 These edible bouquets are hand-arranged and delivered anywhere in the US, across town or across the miles. 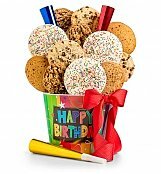 Whether the occasion is personal or professional, a beautiful, delicious chocolate bouquet from our BonBon Blooms™ collection is sure to stand out, leave a lasting impression and send best wishes in style.